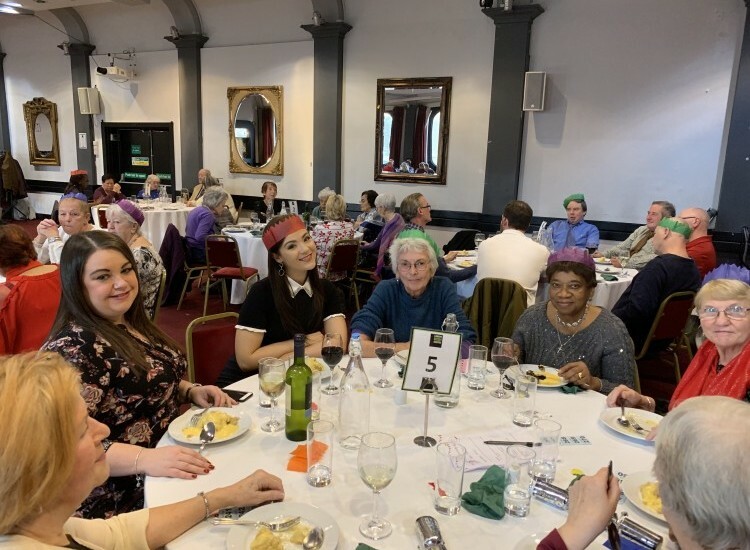 On Friday the 11th January over 80 people flocked to the London Irish Centre for the Ageactivity 60+ New Year’s lunch. Members, staff and volunteers put their January detoxes on hold as they enjoyed a delicious three course meal. After the food there was a raffle and dancing to enjoy, we were even treated to a performance by the line dancing group. The event ended with a very special announcement, as it was revealed that Ageactivity 60+ has had its lottery bid approved. This means the project will be able to run for another three years! We would like to say a massive thank you to the Ageactivity 60+ team for putting on a great event. We would also like to thank MVF Global for helping us subsidise the price of the day. See you in 2020!